I only had 12 pages left in my scrapbook at that time and thought hopelessly that it should be reasonable, if not more than needed. 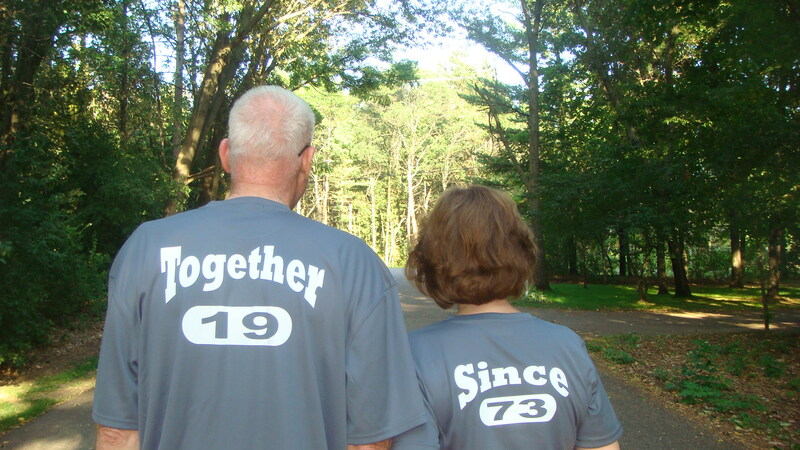 This year my husband and I celebrated 40 years together. That is why the chronicle about Blue Zone living appealed to me. Maybe now, we can grow VERY old together and maybe the VERY best is yet to be. Stuff I Miss… since my diagnosis of coronary artery disease. We always miss what we don’t have. With heart disease, specifically coronary artery disease due to atherosclerosis, much of what you miss is the food – the high-fat and high-sodium foods! I miss crispy, greasy, salty French fries. 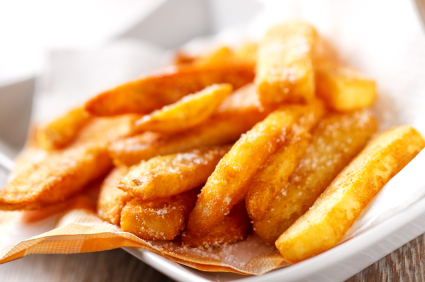 A large order of French fries from McDonalds is usually around 5.4 ounces. The large order of McDonalds French fries has 500 calories, 220 calories from fat, 25 grams of fat, 63 grams of carbohydrates, and 6 grams of protein and 350 mg of sodium. I miss high-sodium Bloody Marys. Your daily sodium intake should be less than 1500 mg a day. 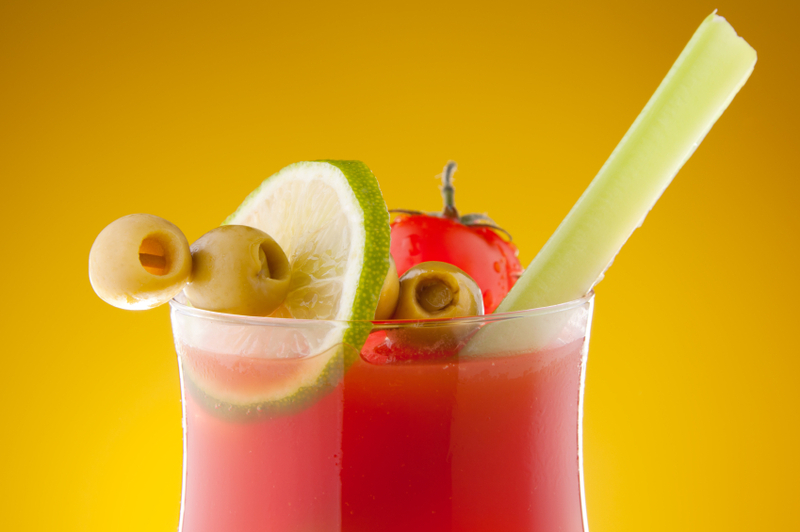 One bloody Mary alone (on average) contains 1,500 mg of sodium – that doesn’t even count any sodium she will get from food. 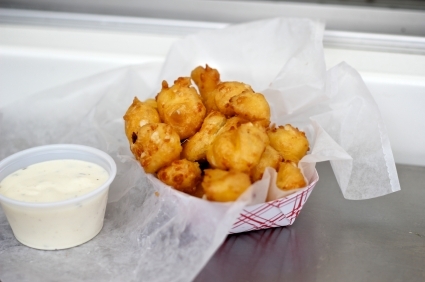 I miss squeaky, rubbery, high-fat cheese curds, especially the deep-fried ones! Culver’s Cheese curds have 670 calories with 30 grams of total fat, 15 grams of saturated fat and 1740 mg of sodium! 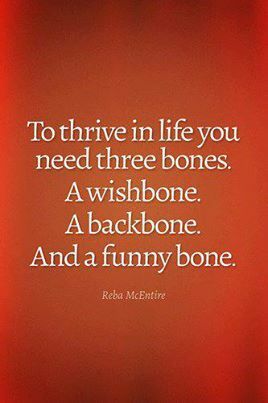 It is my experience that to live an even fuller life, or if you are a cardiac patient, you need an additional bone – a jawbone. I am speaking about the JAWBONE UP – a simple wristband and app that promotes three key components every human being needs to incorporate into their heart-healthy lifestyle – exercising regularly, eating well and sleeping well. The Jawbone Up claims itself to be “You at a glance.” It serves as a record for both you and your cardiologist when he asks about your sleep, exercise or eating habits. It keeps me healthy, happy and living life. Walking is an ideal physical activity. You can do it anywhere and anytime. Over the years, I have walked the yellow brick road, the trodden path, the local bike trail, multiple malls, hospital corridors, and sidewalks in many neighborhoods. I trick myself into walking more through searches for geocaches, garage sales and by parking a long distance from any destination or appointment I may have scheduled during the day. I listen to iTunes that have just the right beat to keep my feet moving forward. I download songs that repeat such clever phrases as “just a little bit longer” that tease me onward. I have logged into the Endomondo tracking app on my iPhone who refreshed me with reports on my mileage. 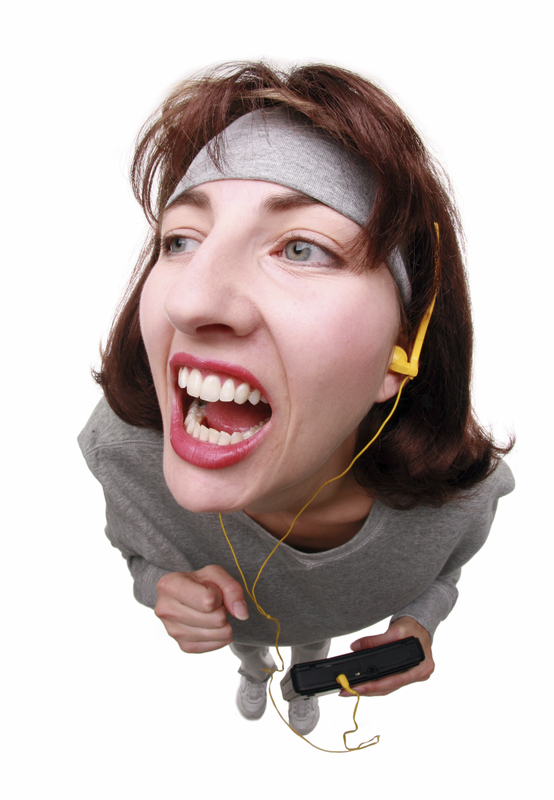 I have used the Nike iPod sensor and a heart rate monitor and numerous high – finagled pedometers. 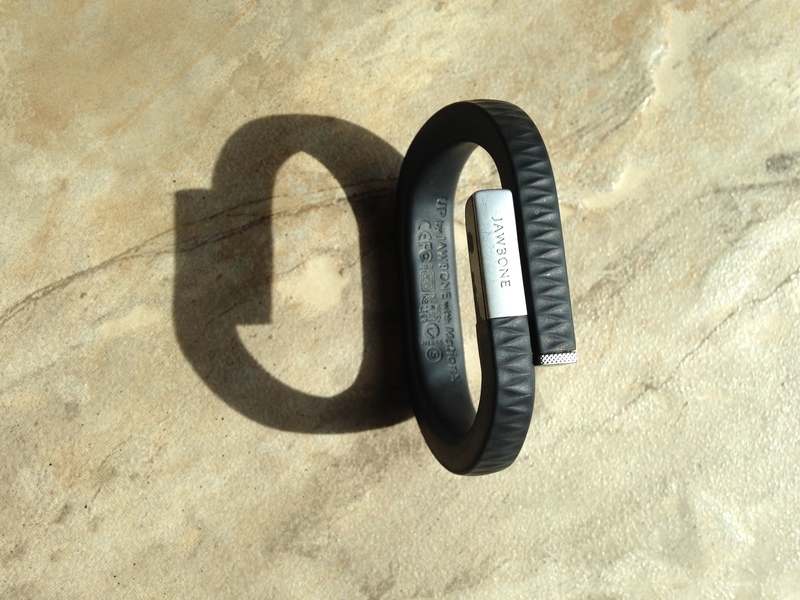 My Jawbone UP gives me the discipline of a personal trainer and the motivation to move forward every day. You can make choices any way you choose. Cardiac rehab taught all you need to know. You are the one to decide now how life will go. You have an old heart in your chest. You have gooey cholesterol plaque. 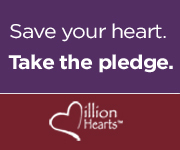 Who isn’t interested in things that deal with the HEART — be it a cardiac patient or any living, breathing human being? After all, the heart is the core of our very being. I recently met two very different HEART individuals — and thank the Lord — neither one had anything to do with cardiovascular disease! Now, I cannot decide if I learned more from the Dalia Lama or from Elvis Presley. 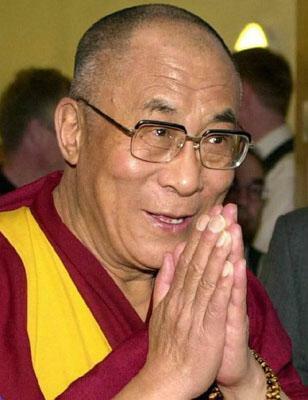 I had the opportunity to meet the Dalia Lama (well, not personally, but rather the chance to listen to him speak.) My expectation was that I would be fully enlightened and transformed and inspired beyond words. He spoke on resilience through mindfulness – a wise heart-healthy practice. I have heard many of the phrases about suffering and pain and giving and caring both in my profession and in relation to heart disease. I know that he believes compassion is the pillar of world peace and that thought in itself, speaks to me.